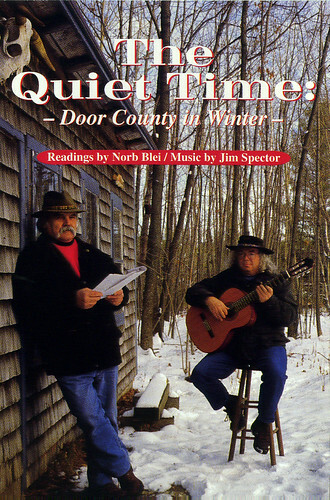 The previous NBCoop News piece, #59, “Ice-In,” described the annual winter event of our bays here in Door County slowly, suddenly turning to ice, followed soon after by the fishermen moving their shanties upon the frozen landscape, settling in the warmth of their habitats for hours (days, weeks) for as long as the ice holds their frozen world in place. The very next day after I took the desolate photo that accompanied the “Ice-in” piece (sans shanties), the ice fishermen began to appear. My friend, artist Charles Peterson ( www.clpetersonstudio.com ) who paints the life and times of this county with such passion, detail, beauty (our visual historian), responded to all this with a small watercolor, 12 x 16 inches, that captures this moment upon the ice the way only an artist of his talent can render into art the everydayness of all seasons here on the peninsula. Lucky the person who owns an original Peterson drawing, watercolor, oil…or signed and numbered reproduction. A little piece of Door County for keepsakes. …and when you and Charles combine your talents, the results are terrific! I hate ice fishing! Takes too long to get the boat in the water! 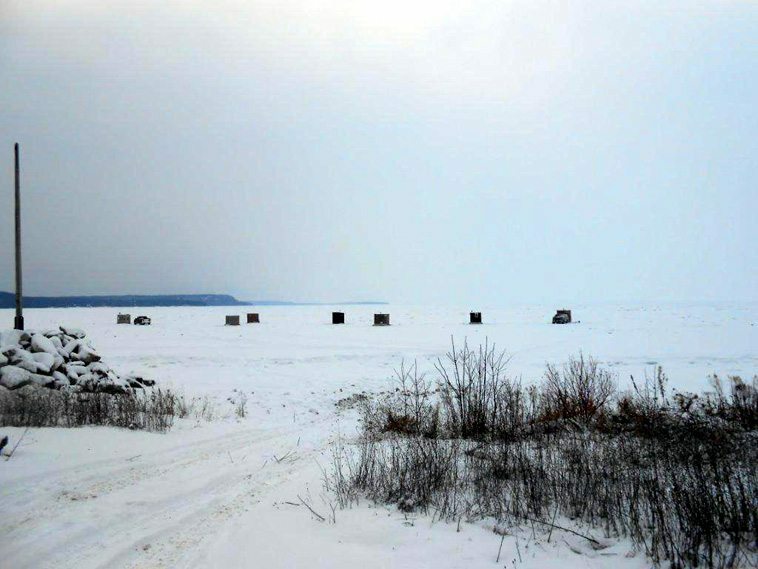 In this instance only, I think your photo captures the essence of ice fishing better than Chick’s. It’s a grim dark and miserable occupation, not the happy picnic he portrays. Oh, now watch all the ice fishermen respond! I am struck by the contrast of the quiet in your photo and the comaraderie in Peterson’s painting. The guy on the box is going to freeze his feet. I’m with Alice. 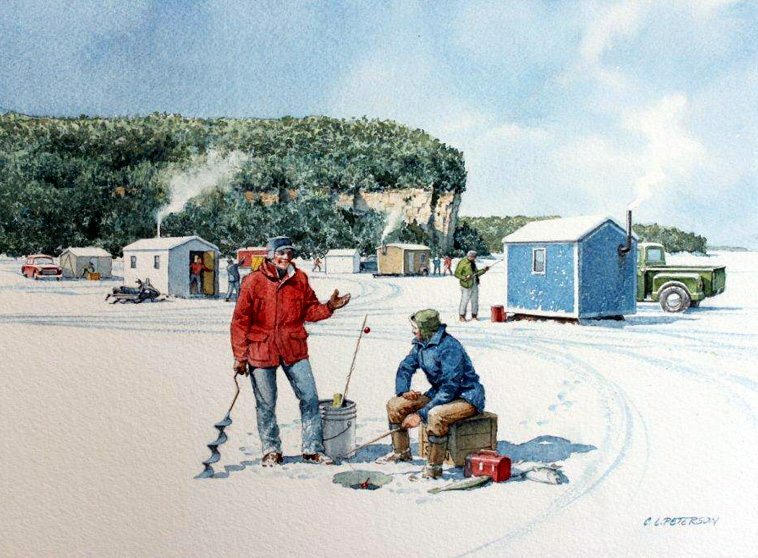 Tho’ Charles painting is wonderful.. That photo is what it always looks like to me on those frigid, white days when I look out over the lake and see THose shanties. Burrrrrrr. Desolate, grey; an eery, alien landscape.